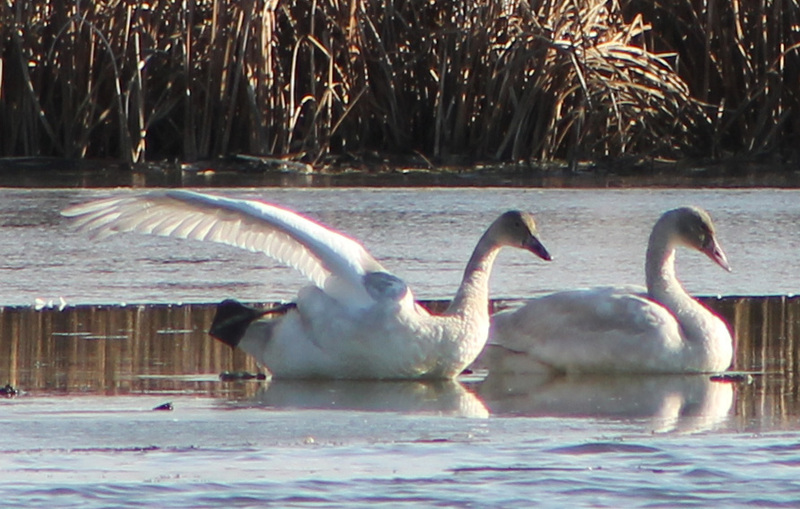 Tundra Swan activity in Alma, Wisconsin can be a touchy subject. 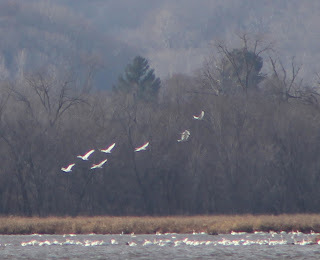 Many years ago there would be 5,000 Tundra Swans at Rieck's Lake ... today there are 30 and that's a good count. 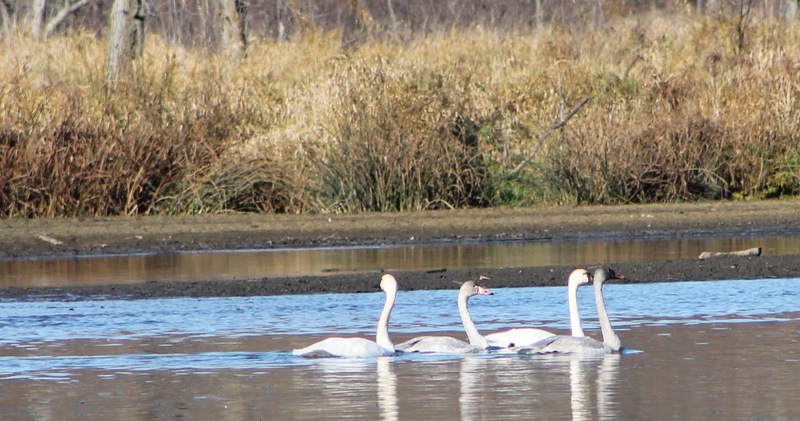 Needless to say those who remember the "swan fall" have high expectations and they don't understand that we are happy when the first swans begin to arrive. 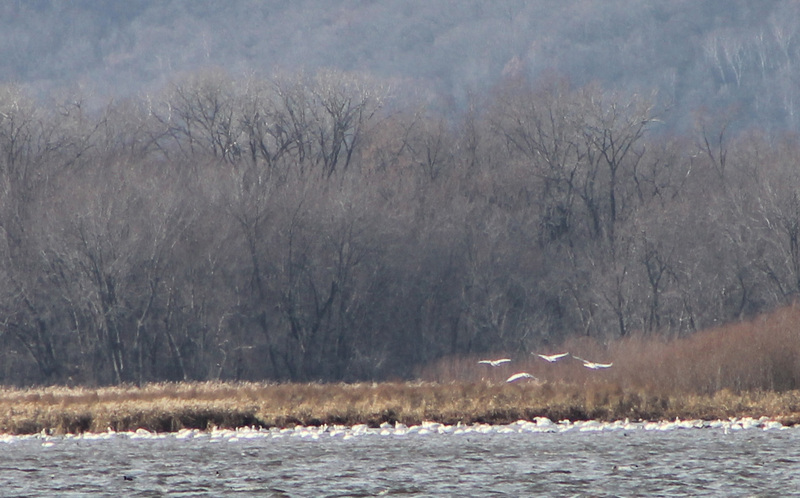 November 18th arrived and swans were on Rieck's Lake. 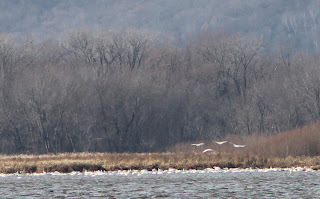 Now there are over 1000 swans on Big Lake (Mississippi River). 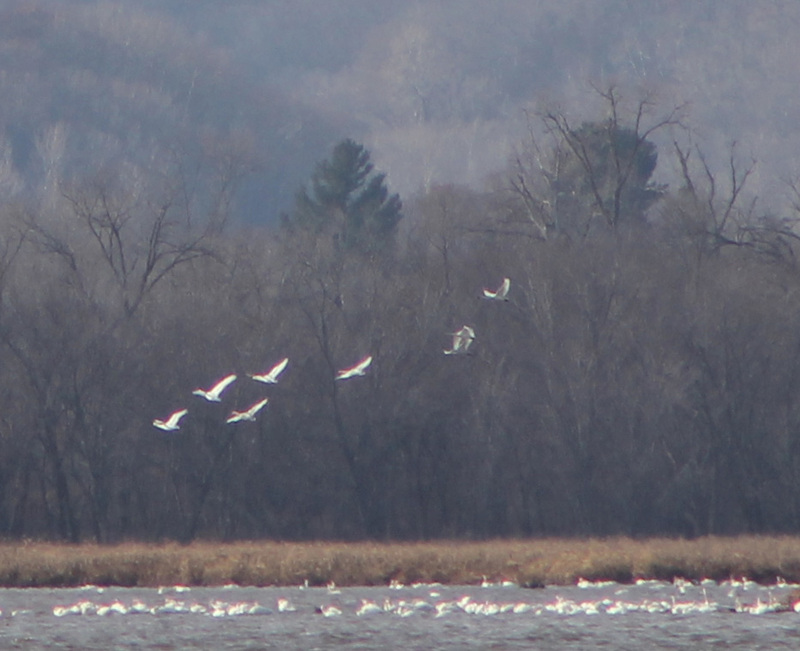 but it's wonderful to watch all of the activity as the swans fly. The best viewing is a sunny day. 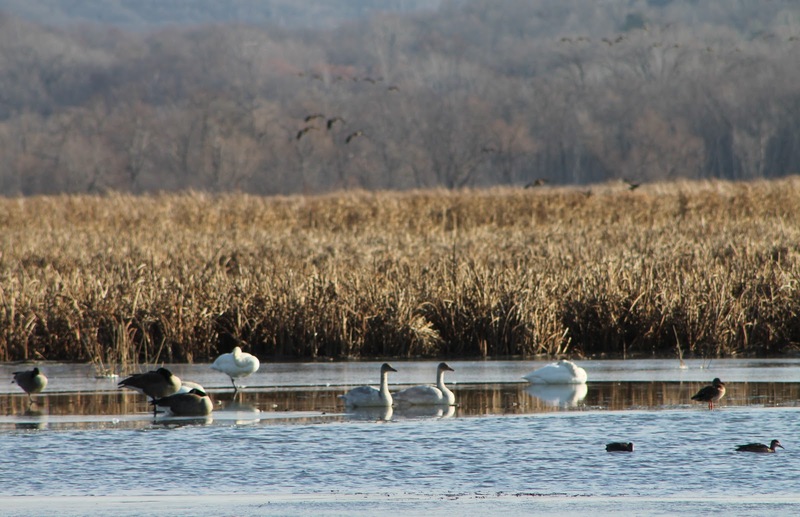 The Buffalo River is holding about 100 swans, with the population moving around during the day from Rieck's Lake & Tell Lake to a more protected spots away from the viewing population. The best time to view is early in the day. 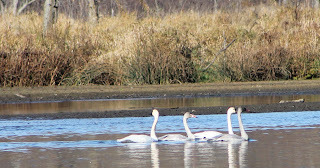 to find the swans the photo and viewing opportunities have been great!